An accomplished cellist, Ms. Jacobson earned her bachelor’s degree at Humboldt State University, with further studies at the Salzburg Mozarteum, The Royal Danish Conservatory and the Netherlands Royal Conservatory in The Hague. She was a member of the Netherlands National Ballet Orchestra in Amsterdam, the Netherlands Radio Symphony, the Oslo Opera Orchestra and the Netherlands Strijkers Ensemble. Last summer she performed with Paula Thomas at the "Petit festival de Loye” in France. She has worked with many conductors, including, Valerie Gergiev, Kent Nagano, Jaap van Zweden, Sixten Ehrling and Edo deWaart. She is currently studying conducting with Scott Seaton. She was conductor of the Humboldt State University Orchestra and directed the Humboldt Music Academy. She plays in the Resonance Ensemble with Terrie Baune and John Chernoff and is principal cellist in the North State Symphony. The Eureka Symphony is composed of community members — including teachers, doctors, professors, retirees, students, and more — from across the Humboldt Bay area. Each year we perform a wide range of classical compositions with appeal to all ages. We have been proud to premiere several works in the last few years and are delighted to welcome acclaimed guest soloists to join our concerts. We present at least one choral work and sometimes a theatrically narrated selection during our season. 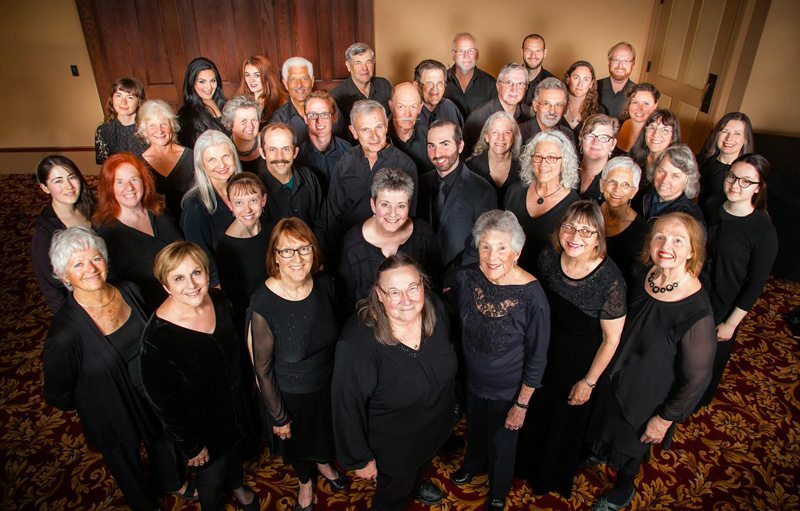 The Eureka Symphony Chorus was established in September 2015 and made its debut performance with Antonio Vivaldi's Gloria at the holiday concert on December 4 and 5, 2015. Chorus membership requires a commitment of approximately six to twelve weeks for participants for preparation and performances for each concert. Rehearsals will be held Monday evenings at Christ Episcopal Church in Eureka from 7:00 to 9:00 p.m. and subsequently with the orchestra at the Eureka High School and the Arkley Center for the Performing Arts.